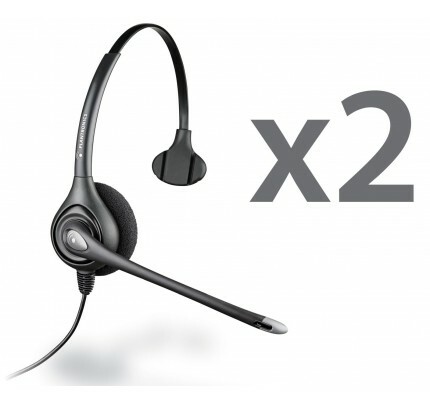 Setting a high standard for office communications, the Plantronics HW351N is a comfortable and dependable monaural headset offering reliability and excellent sound quality thanks to digital sound processing technology, wideband audio support and a noise-cancelling microphone making it suitable for use even in noisy and busy office and call centre environments. The Plantronics HW351N provides consistently high audio quality thanks to its compatibility with the wideband audio technology used by today's VoIP systems, while digital signal processing helps to reduce echo and deliver clear, natural-sounding speech. 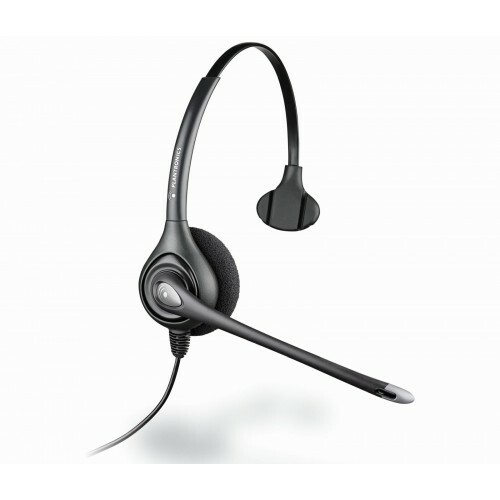 The improved audio quality helps to reduce the chance of misunderstandings and listener fatigue, making this headset suitable for continued use throughout the day. The Plantronics HW351N is the ideal choice for busy call centres and offices where comfort and crystal-clear audio are essential. Its lightweight design and robust construction make it a highly dependable solution.